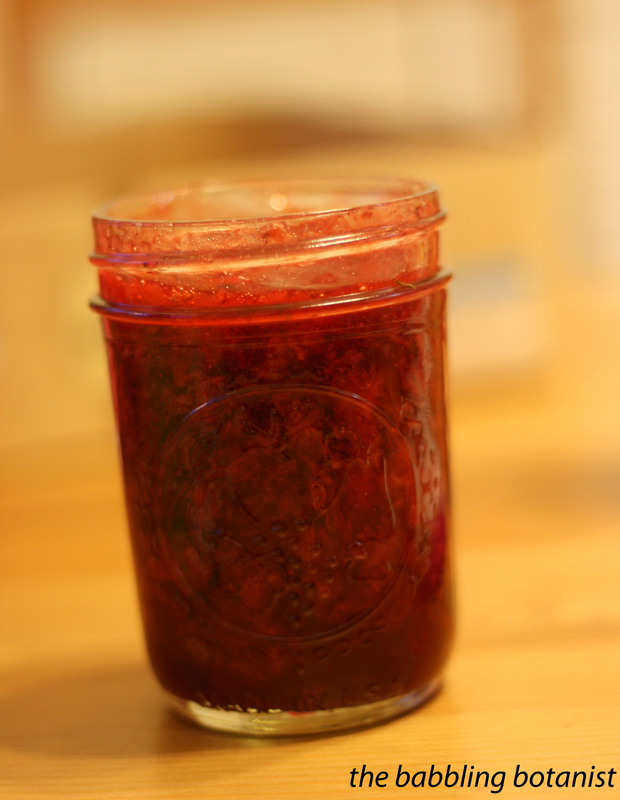 Freezer jam is a super quick and easy alternative to making canned jam. 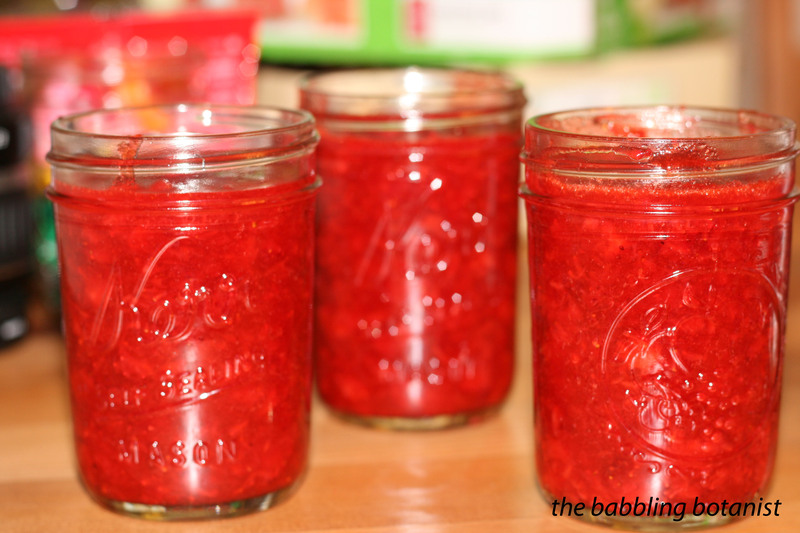 I love canning, and think everyone should learn how (do it, do it now!!) 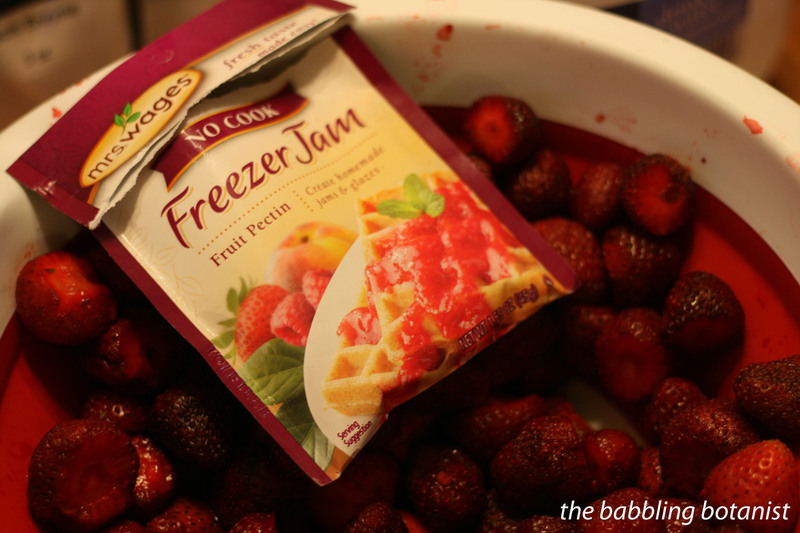 but there are also a few advantages to freezer jam. First, you don’t have to cook the berries at all. This means you can keep a little more of the natural consistency and taste of the uncooked berries. It’s also faster, and you don’t need a canner, jar lifter or anything like that. I think it’s a great gateway into canned jams, although I did about a million jars of canned jam before ever trying it. But, if you have a little bit of extra freezer space, all you need is the jars, pectin and the berries to make quick an easy freezer jam. For this endeavor I used Mrs. Wages freezer jam pectin, but Ball and many other brands also make freezer jam pectin. First, wash, hull and crush the berries. 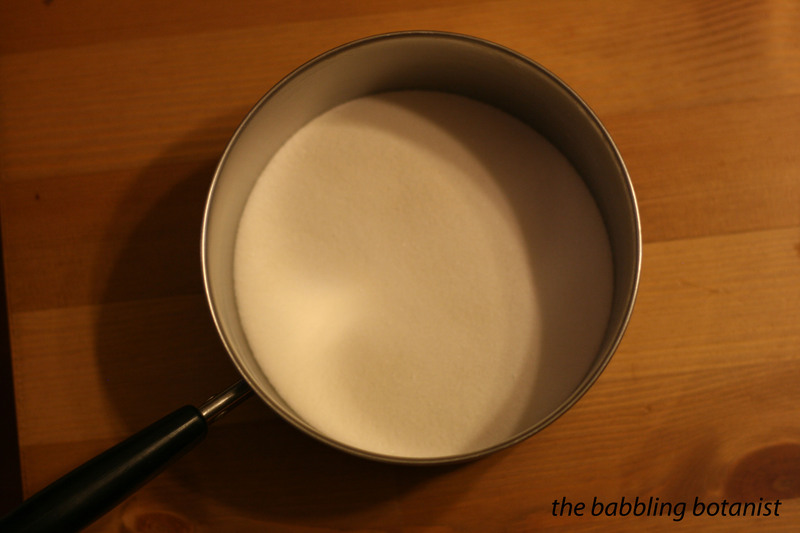 Separately, combine the sugar and pectin together and stir to evenly mix them. Stir in the crushed berries and then continue to stir the jam for 3 minutes. Now all you do is pour it in jars. Leave a half inch or so of head space for the jam to expand when it freezes. Put on the lids and bands. Let it set up at room temperature for a half hour or so prior to freezing it. You can leave it longer if you want, just not longer than 24 hours. After that just pop it into the fridge or freezer. It will keep around 3 weeks in the refrigerator or a year in the freezer. Easy peasy lemon squeezy. Now you really have no excuse to buy store bought jam anymore. This takes under a half hour and yields about 5 jars. Haha I agree. I need more freezer space for sure!